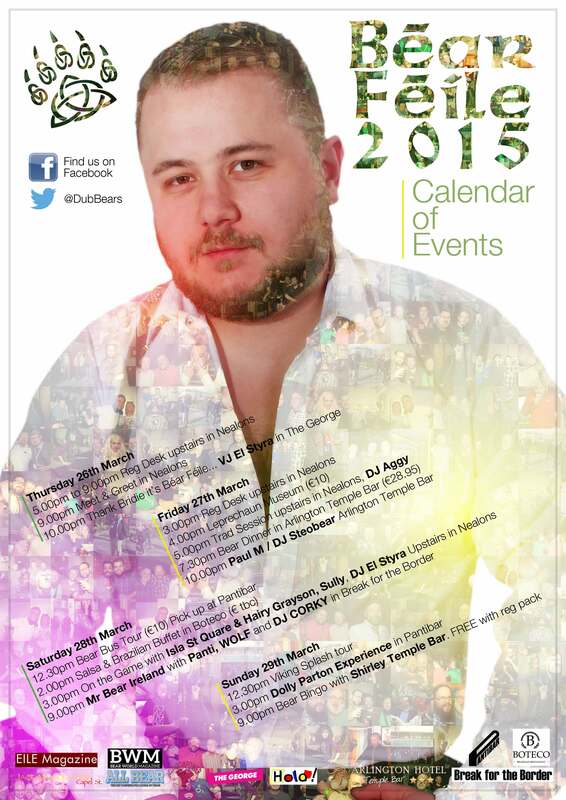 The Dublin Bears have launched their upcoming schedule for Béar Féile 2015, with a brilliant line-up of events for the Irish bear community and their friends. DJ El Styra, Paul M, Wolf and many more fabulous acts are part of the festivities, with lots of other great events lined up, including Mr Bear Ireland with Panti! For find out more and to book tickets, visit dublinbears.ie.